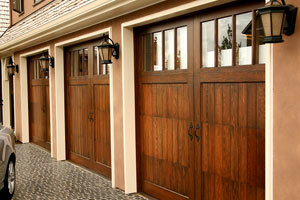 What does your garage door say about your San Antonio, TX, area home? Does it say that you have an eye for design? That you’re committed to staying on top of regular home maintenance? Or, does it say that your home’s exterior aesthetics are of little importance to you and your family? If you’re unsatisfied with the message your home’s garage door is sending to your visitors and the rest of the neighborhood, then turn to the home remodeling experts at 31-W Insulation. Because we only utilize building materials from the industry’s top manufacturers, our customers can rest assured that their garage doors won’t only look great, but that they’ll also provide a number of practical advantages. You could benefit from having a garage door that offers a number of important safety features, provides years of smooth operation, and that contains built-in thermal insulation for superior energy efficiency. To learn more and to view our full selection of garage doors from Amarr®, Windsor Door, and Wayne-Dalton, contact us today to schedule a complimentary in-home consultation. In addition to your new garage door, you can also turn to 31-W Insulation for the installation of an indoor or outdoor fireplace, attic insulation, gutters, siding, or just about any other home improvement product.